When most people imagine a new life in Italy, the image that is so often conjured up is of an over-worked American or Brit leaving their frenzied life behind for greener pastures in the land of pasta, vino and consistently sunny skies. But what about the stories of those Italians who have lived abroad and suddenly arrived at a time when “coming home” seemed like the best thing to do? Massimo is our “dolce vita” dreamer-turned-dinner today, the proud owner and personality of Abruzzo Cibus Culinary School in the heart of one of Italy’s most suggestive—and unsung regions bordering the regions of Marche, Lazio, and Umbria, as well as the Adriatic Sea. Massimo’s background admittedly had more of an international tilt then most -- his father was a careerdiplomat so from an early age the family was traveling the world but always balanced their time abroad with that of “home” on Italian soil. Eventually, Massimo made his way to America for university and thought he wouldnever look back. Like many who have traveled abroad, things weren’t always what was to be expected. Massimo’s first impression was that people worked really hard and spent little time on themselves, and in his eyes also spent little time in “living”, including eating well. This doesn’t come as a surprise to me since as an American living in Italy for over many years, this is a common perspective that many Italians carry after spending a bit of time in the states. Often in Italy (and yes, there are always exceptions) personal life and self-care are prioritized over career ambitions and that wildly reflects on long term lifestyle habits and an older yet vibrant population. Despite these initial reflections, Massimo’s plan was to stay in the USA and hone his career ambitions. “I felt comfortable in the USA and I understand that professionally in Italy I would have struggled” he told me. After four years of working in corporate America, and going through the various pitfalls and overwhelming pressures of everyday work life, he decided that this actually wasn’t the life he really wanted. “My desire was to be surrounded by happy people, and do something that I love, but most importantly-- my biggest desire was to connect the USA and Italy in some way” Massimo further explained. “As if by some supernatural stroke of luck, he got this opportunity from a chance phone call back in Italy from his father. 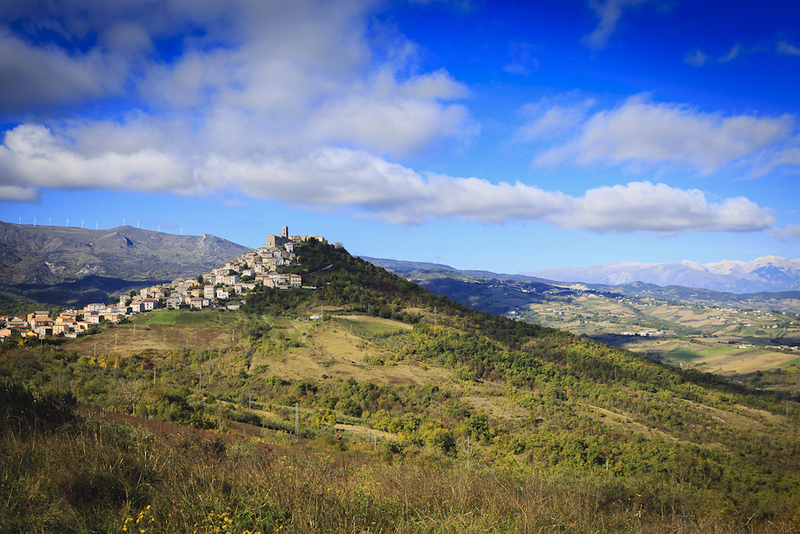 “My dad called and said ‘I bought a fixer-upper’.” This was just the chance for Massimo to go back to Italy, and more specifically back to the region of Abruzzo. The question now was, how would he be able to find a way to work with Americans and help them understand exactly what kind of vacation experience they want from a country he loved and missed so much? Massimo’s father’s “fixer-upper” is now the base for his thriving cooking school called Palazzo Tour d’Eau perched upon the tiny Abbruzzian town of Carunchio. This hilltop medieval village is home to only six-hundred people, and serves as a superb example of Abruzzo rural life with its clean streets, beautiful architecture. The ideal backdrop for a photographer’s expert lens and those seeking a less overwhelmed and more authentic side to Italy. Palazzo d’Eau as it was originally named has been entirely restored from its once forlorn state, it houses ten stately rooms, all richly refurbished, with modern amenities to make you feel right at home. In the fully-renovated castle Massimo and his team run several different types of week-long tours. The fan favorite is most definitely the “Carunchio” program. 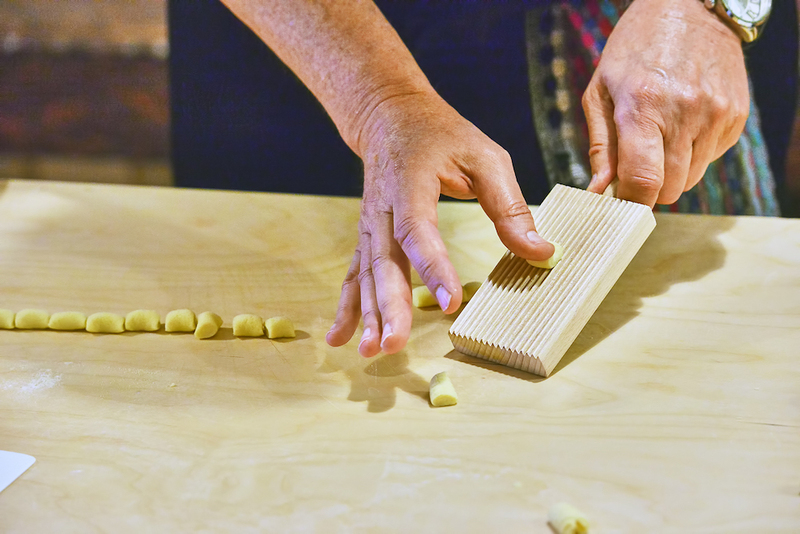 Here, guests (and trust me they are treated like family guests, not customers) will have the chance to learn how to make cavatelli pasta, typical from the region of Abruzzo and really fun to make. Also on the menu are “meatless” meatballs, called “pallotte cacio e ovo” – a much-beloved recipe that is packed with flavor and easy to make. The tours are not exclusively cooking excursions (though naturally in Italy, that would be enough for our curious palates), a typical week includes a visit to a local award-winning olive grove and tastings and visits to the town of Vasto, a visit to Agnone - an official papal bell foundry and lunch in a typical “Trabocco” – a quirky-looking fishing net structure perched on the Adriatic. Historically,the trabocchi were used by fisherman to avoid deep waters and collect varieties like sardines, anchovies, sea bass and other fish varieties and are now mostly turned into family-owned restaurants that are quite the site to see in person. 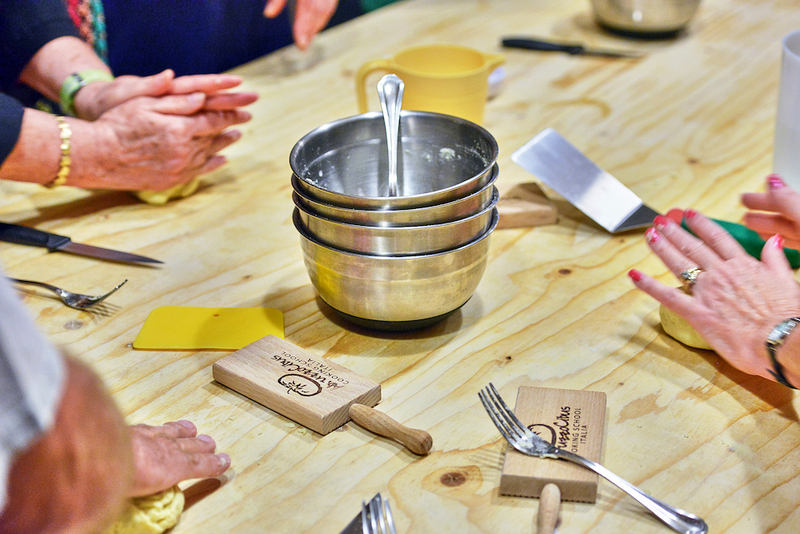 A cheese stop is also on the “menu” at an artisanal cheese-maker to see Abruzzian cheese made from scratch. It’s worth noting that in Massimo’s tours all you have to bring is yourself and a camera, everything is refreshingly all-inclusive, including lodging, meals, wine, classes, tours and airport transfers – as well as his fascinating daily guided tours. In Massimo’s words “Abruzzo is raw and yet it is a place that offers it all. Many might be surprised to learn that Abruzzo is indeed one of the fastest-growing regions in regards to slow tourism as people seek an alternative to Italy’s overly-crowded citiesand it produces more wine than more high-profile regions like Tuscany. Even Primo Levi, a visiting nineteenth-century Italian diplomat and journalist once said that "forte e gentile" (strong and gentle) best describes the beauty of the region and the character of its people. 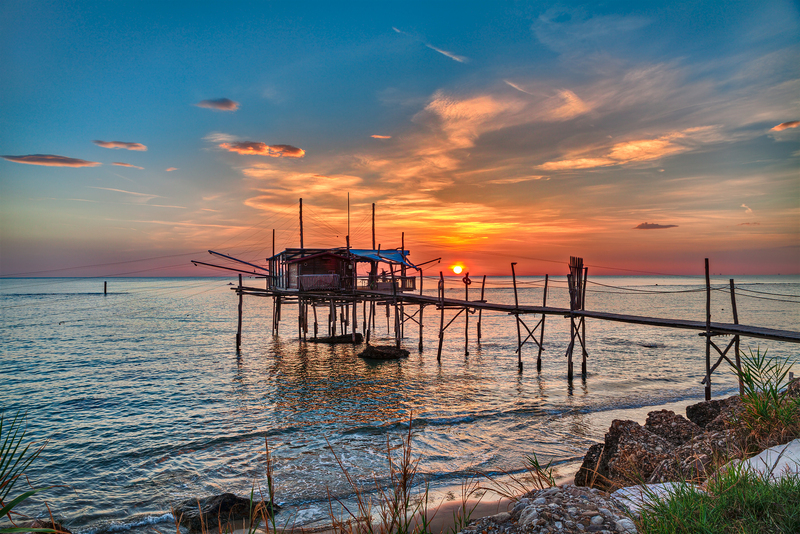 It boasts a 70-kilometer coast stretches from Ortona to San Salvo in Chieti province making it a year-round destination from the wild Appenine mountains to the calm of the sea. What I thought was also quite interesting about Massimo’s business was his genealogy tours that help American citizens with Italian origins quite literally discover their roots. If they can trace their ancestors back to Molise or Abruzzo, Massimo’s team can organize a day tour to visit the birthplace of their ancestors in order to walk in the footsteps of their long-lost relatives. This naturally can be a very emotional and life-changing adventure and one that we like to feature on this dedicated series. Naturally, there came a time when I asked Massimo if he could see himself running Abruzzo Cibus forever, giving so much of his heart and soul to people he has only just met week after week, year after year. “I’ve been doing this thirteen years and I still love it, I will do it as long as my heart and the passion remains, but it’s not just me” he replies. “There are thirteen people working with me, making this a very special place and we all seek to give joy to our guests. When they leave, enveloping us within big hugs and exclaim ‘This is the best vacation I’ve ever had’, this is the motivation to keep this dream alive, to help show people another side to life. 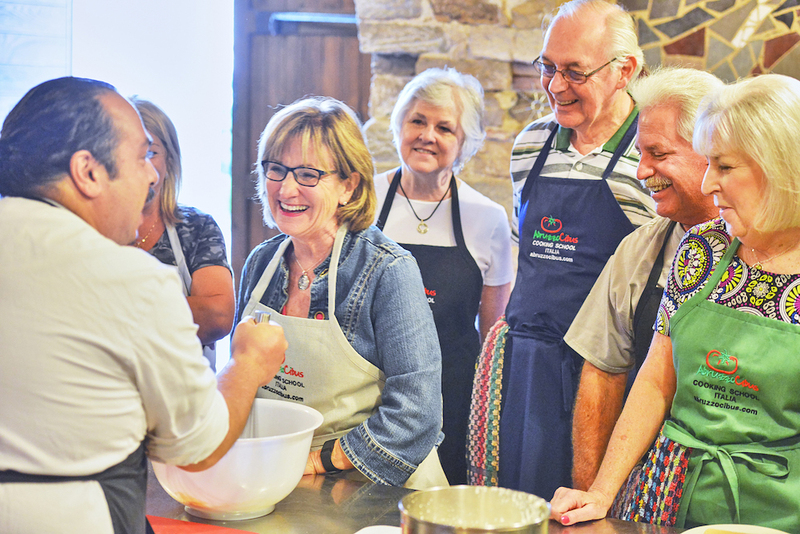 If you want to experience Abruzzo like a local in the heart of one of Italy’s most suggestive regions and take hands-on cooking lessons where you will learn regional specialties and traditional Italian dishes, this is just the tour for you. 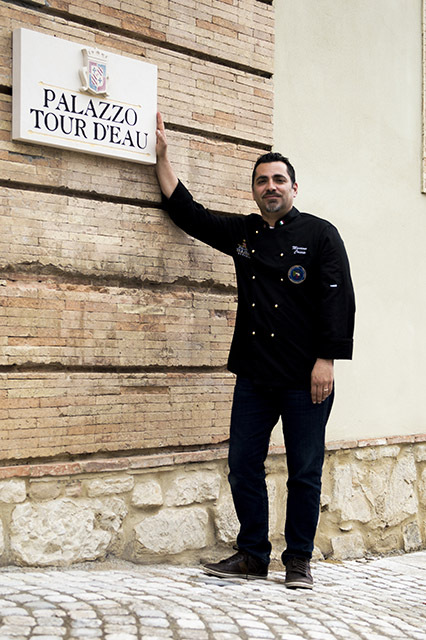 Abruzzo Cibus Culinary tours offers seven-day exclusive tours based from a family-owned historical palace. Come as a guest and go home “part of the family” is the philosophy that Massimo and his team adhere to. Here’s how to book.